FastClad is a proven prefabricated brick slip cladding system, enabling external and internal masonry to be assembled with speed and efficiency, without the need for specialist tradesmen. 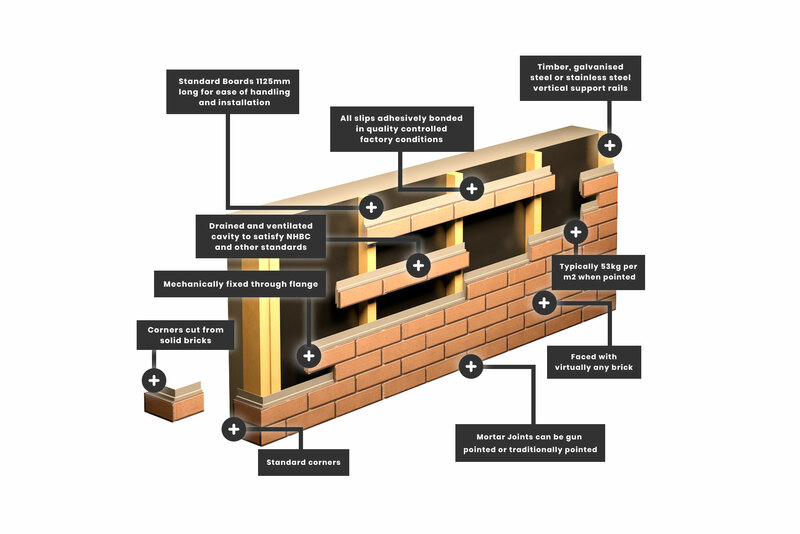 Suitable for both new-build and refurbishment, FastClad can be manufactured from most types of brick and can also incorporate other types of masonry. It can create an exciting individualistic finish or blend seamlessly with existing facades.It is factory finished, packaged and delivered to site ready for installation, which can take place in most weather conditions. This website provides information on the benefits of the system, its specification and installation, together with case studies of projects which have benefited from the use of FastClad. Should you require any further information please do not hesitate to contact our Technical Sales Office.